Mark important sections of documents with these vibrant Q-Connect Highlighters. The chisel tip allows for controlled and precise highlighting and underlining, and the ink is bright and fade-resistant for long lasting results. 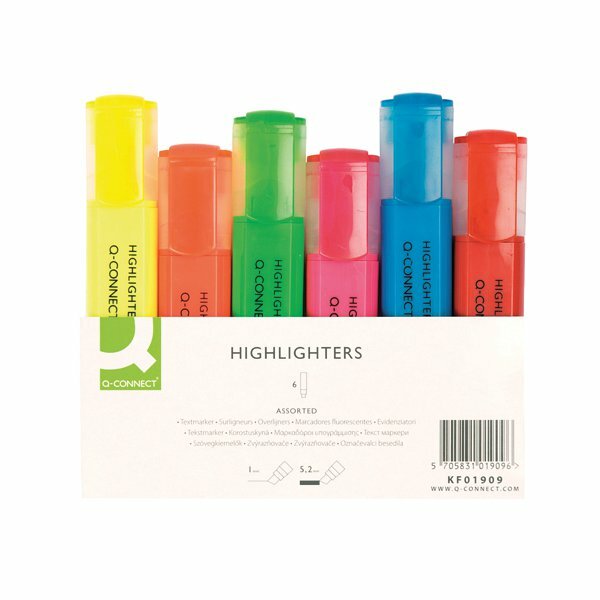 Ideal for revision and general office and home use, this assorted pack contains 6 highlighter pens in fluorescent yellow, pink, orange, green, blue and red.